Numerous discoveries are made in Israel during the process of building a house, a road, or some other construction project. It becomes necessary to call the Israel Antiquities Authority so that an emergency excavation can be conducted. The site seems to have consisted of a large estate that included a tower, a church, residential buildings, presumably an inn for travelers, and storerooms, a large cistern, a public building and pools surrounded by farmland. Also found was a stone with a Byzantine cross in secondary usage. Browns think this would be a good candidate for a monastery. He has granted permission for us to share this photo that he made during the IAA briefing. 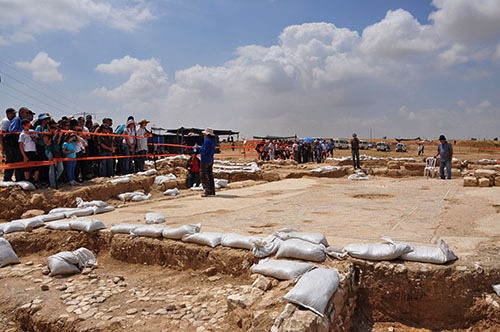 The IAA reports on the Beit Qama discovery. Photo by Shmuel Browns. Take a look at the blog post with a half dozen nice photos by Shmuel Browns here. The Press Release by the IAA may be read here. I see that Carl Rasmussen has posted a blog here about the 5th century synagogue that was discovered during construction work in 1993 at Sepphoris. 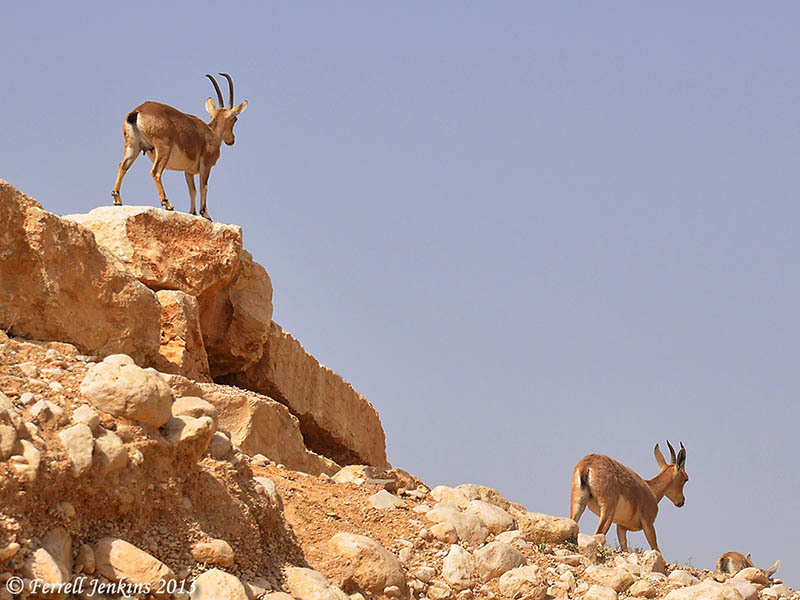 This site is only 3½ miles north of Nazareth, the early home of Jesus. 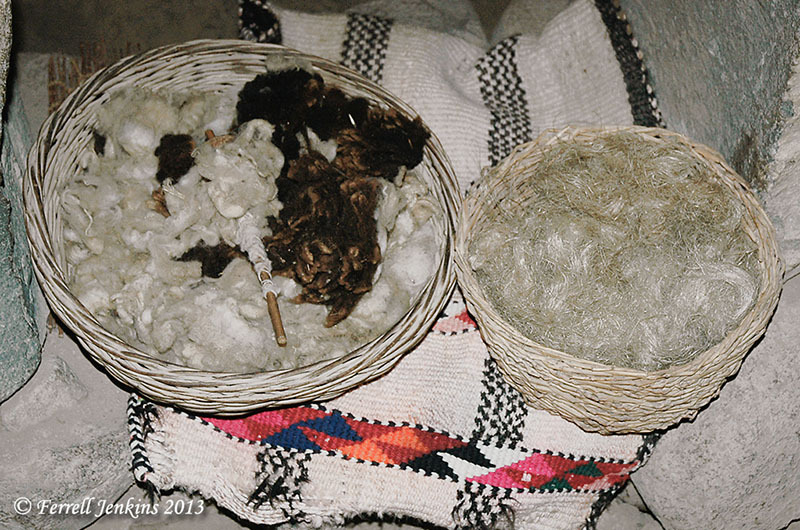 There is still a lot to be uncovered in the Near East. See my post about “Know but mostly unknown” here. When the tabernacle (the temple of the LORD, 1 Samuel 1:9; the house of the LORD, 1 Samuel 1:24) was at Shiloh, the priests became corrupt. First Samuel 2 recounts the practices of the wicked sons of Eli. Three-pronged forks, like the one mentioned in this text have been found at a number of archaeological sites where sacrifices were offered by the Canaanites to their gods. The trident pictured here is from Akko (Acco), and is said to date to the 14th-13th century B.C. It appears to have had a wooden handle that would fit into it. 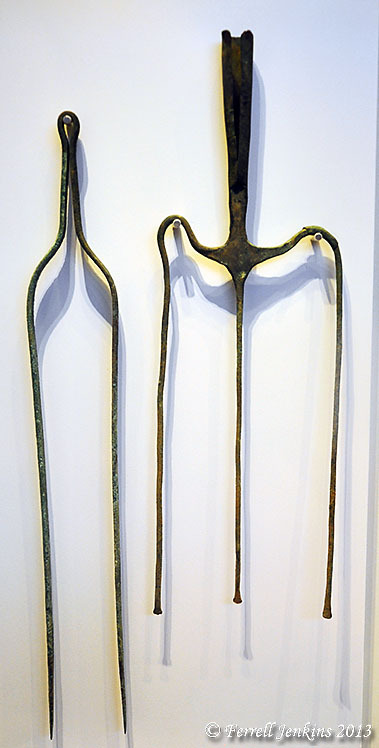 Bronze trident and tongs from Akko (14th-13th Century B.C. Israel Museum. Photo by Ferrell Jenkins. For more information about Shiloh and the biblical events that took place there, see here. 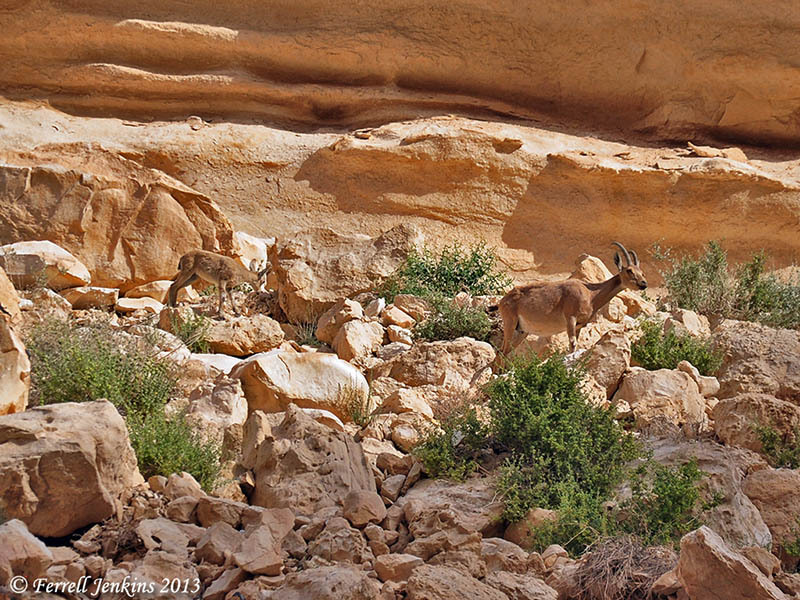 While traveling south of Beersheba, yesterday and today, we crossed the Wadi Zin (Joshua 13:21ff.) at least three times in each direction we traveled. 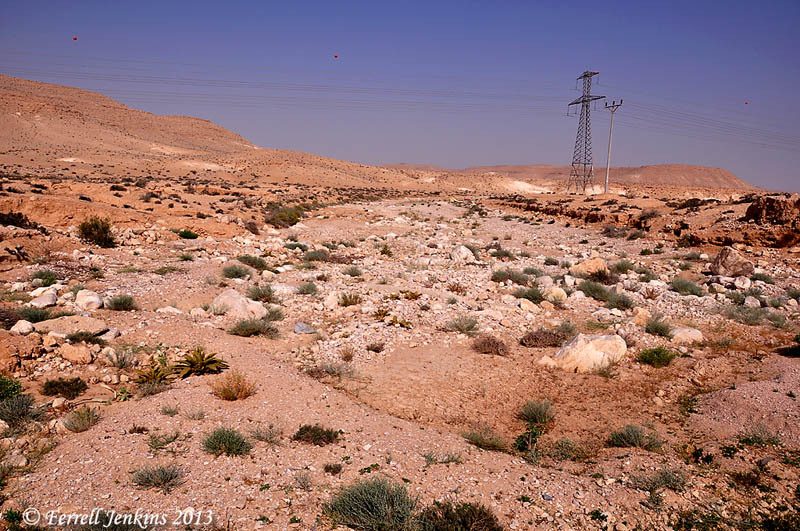 Here is what the Wadi looks like when it is dry. 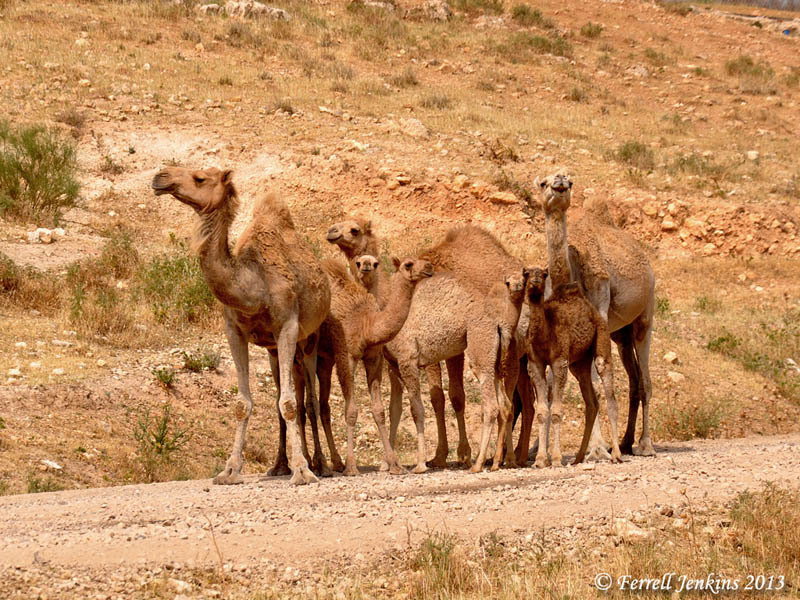 Wadi Zin near Avedat in the Negev of Israel. Photo by Ferrell Jenkins. 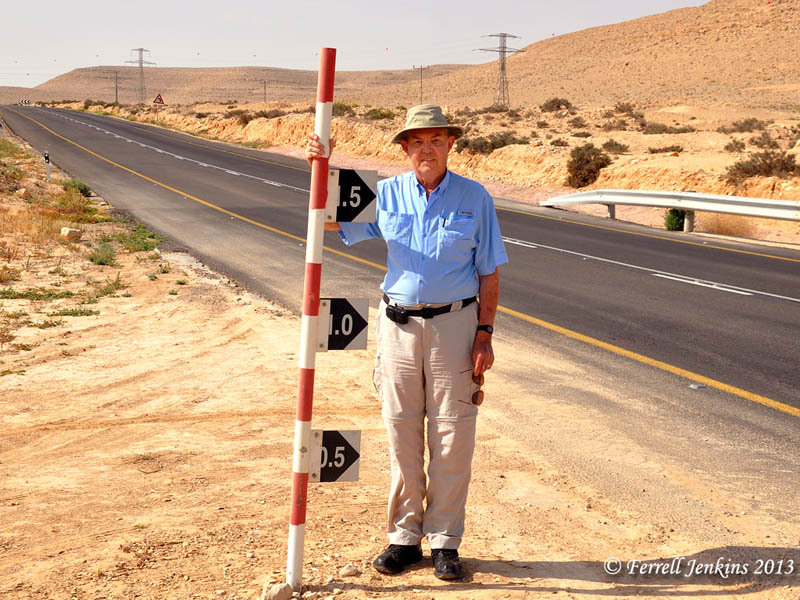 And this marker on the highway shows travelers the depth of the water when the wadi is flooded. 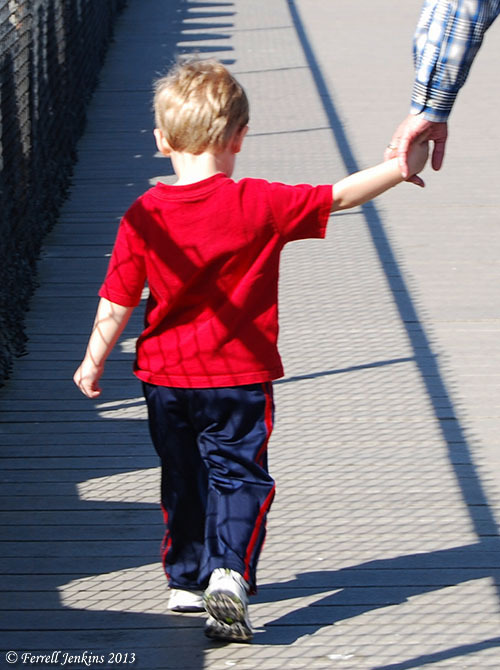 The person in the photo is six feet tall. The marker goes to 1.5 meters (about 5 feet), and the pole is higher. Marker to let travelers know the depth of the water in the Wadi Zin. Photo by Dan Kingsley. 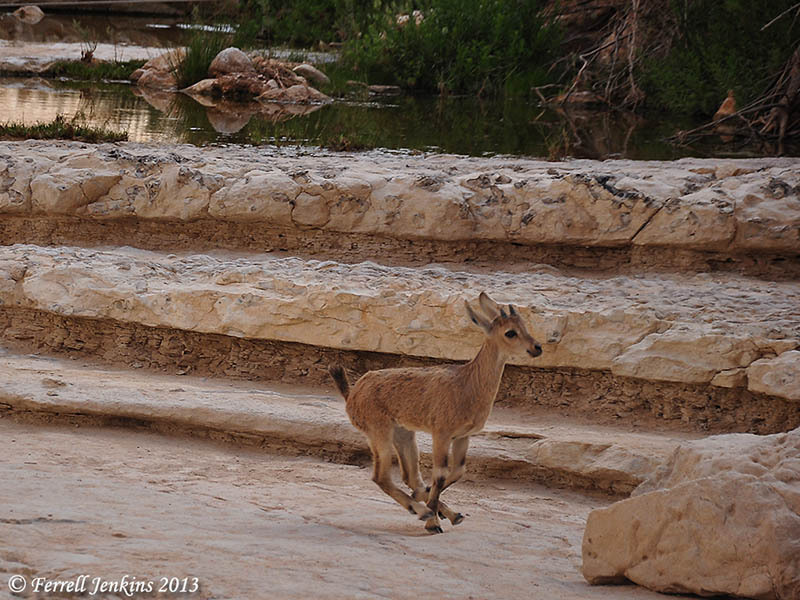 For more pictures, including rivers in the desert during the rain season, see here.